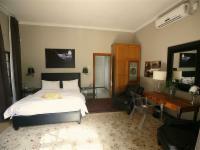 Le Must Residence is a superior guest house on the banks of the Orange River. It is reminiscent of the great villas of the lake district of northern Italy and is suitably adorned with antiquities, heirlooms and other treasures collected from all over the world. Within the central business district of Upington, Le Must Residence is a haven of peace and tranquillity that will host you with comfortable style. 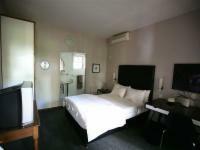 Le Must Residence Superior Twin/King Sleeps 2 Includes: B & B Rooms / Units: 3 Superior/bath+shower/twin rooms or king size bed. This was our second time staying at Le Must and it was just as delightful as the first time. the whole experience is great and guests will leave Le Must wishing they have stayed a while longer. Beautiful accommodation and very friendly staff.Lovely views over the Orange River. Le Must is a great place to stay. They made us feel at home and the atmosphere is fantastic. When I try to reserve this accommodation, reply was always so quick that I could plan our itinerary so smoothly.The place was also very very nice. My Manager and his wife enjoyed the stayed especially on the riverbend. I will recommend other people to your place in future. Le Must Residence is 1.3km from the centre of Upington , the nearest airport 5.3km (Upington Airport).